We went on a little adventure up the coast this past weekend. 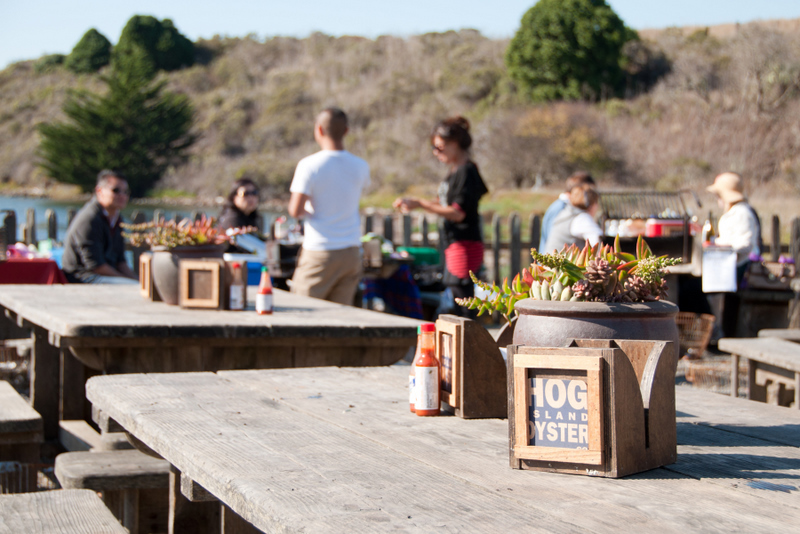 It was my special someone's birthday and I planned a relaxing few days in Bodega Bay. 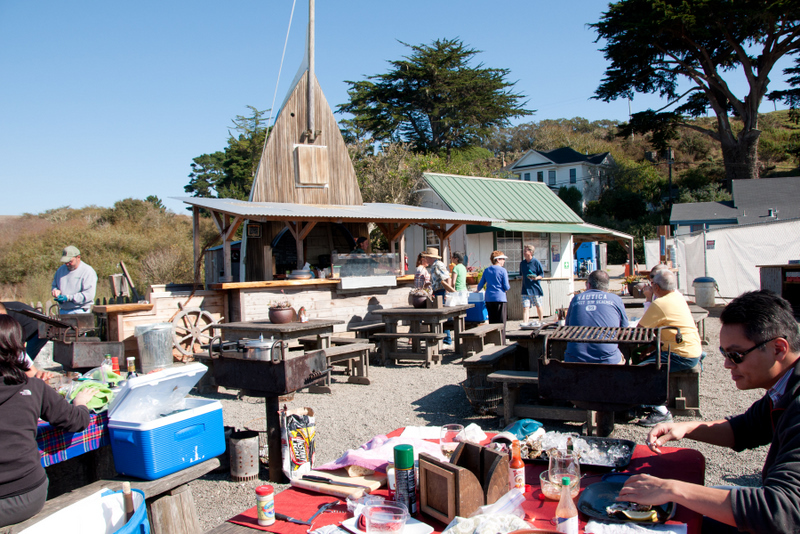 But what made me pick Bodega Bay was actually an area about 20 miles south of it: Tomales Bay. 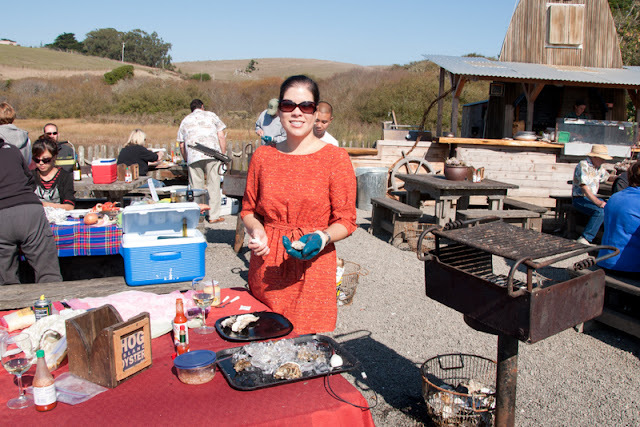 If you like oysters and live in the Bay Area, you should know about Tomales Bay and specifically Hog Island Oysters. There is also Tomales Bay Oyster Company for those who want options! 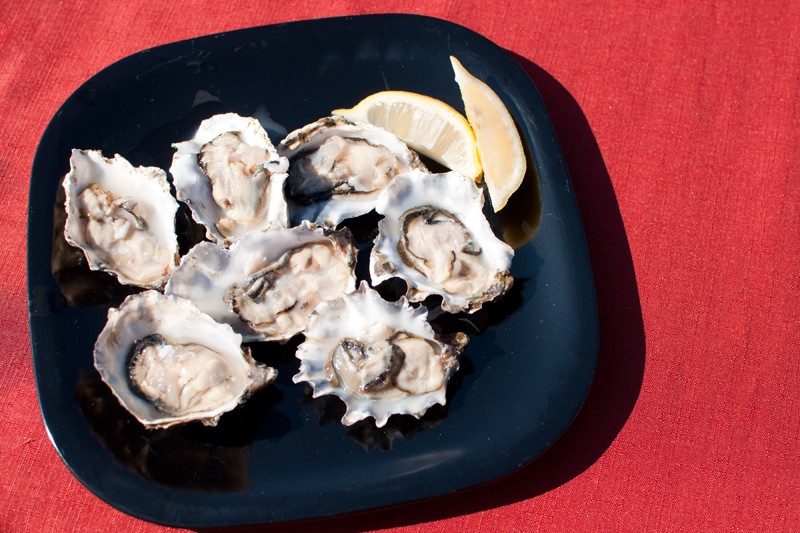 We LOVE oysters on the half shell. Actually prefer them over grilled/cooked oysters! 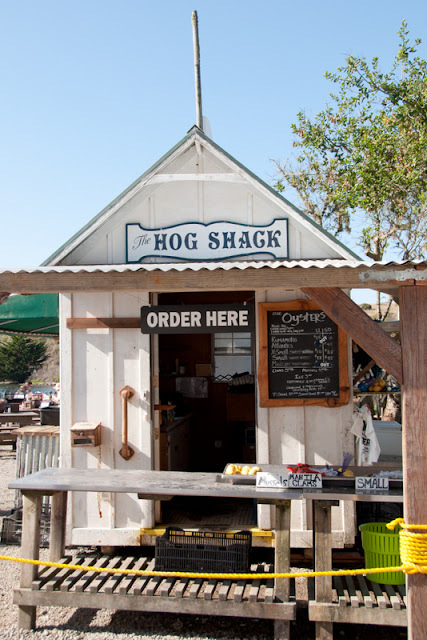 So I made my reservations at Hog Island before I decided where we were going to stay in the area! Fortunately, there are many options right up the coast. Perfect, and ready to down! 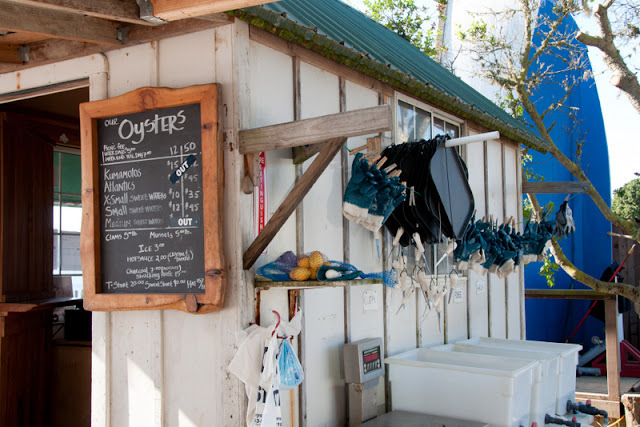 If you just want to eat Hog Island Oysters, you can go to the Ferry Building in San Francisco or the Oxbow Market in Napa. 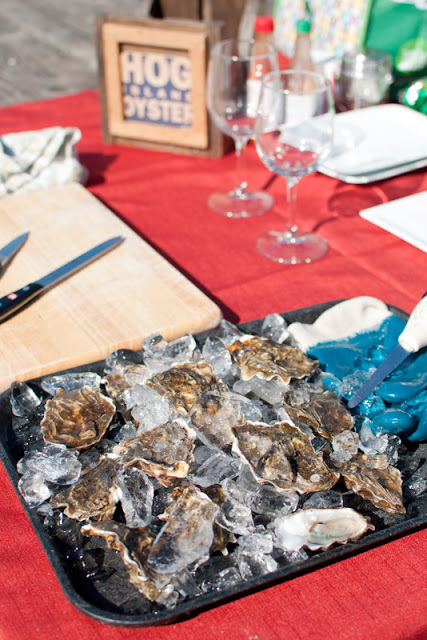 Sit at the bar, order them shucked with a glass of white wine and some crunchy French bread and you're good to go! But if you want a different, more hands-on and memorable experience - head across the Golden Gate bridge and up Highway 1 about 45 minutes north of the city and you'll be at the Hog Island Oyster Farm. 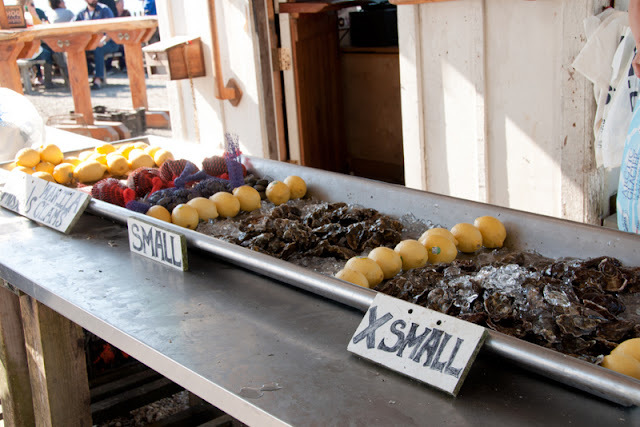 The oysters are about half as much if you shuck yourself! 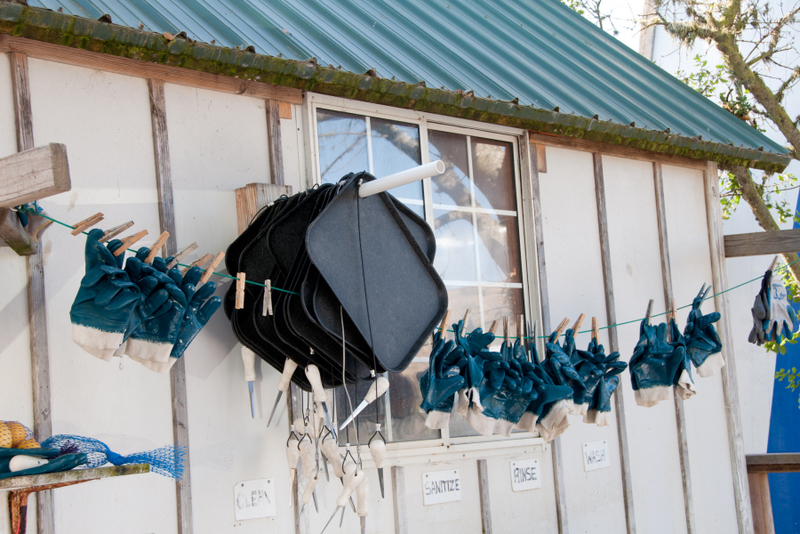 [Because I am a foodie and a thorough/organized perfectionist] I packed up half my kitchen and trekked it all to our picnic table. I had originally made a reservation (they book up THREE months in advance on weekends!) but since it was so light that Friday, we didn't really end up keeping it. We checked in at the bar, picked a picnic table and started setting up our food-stuffs. When I said rustic, I meant rustic. There is no indoor place to eat. 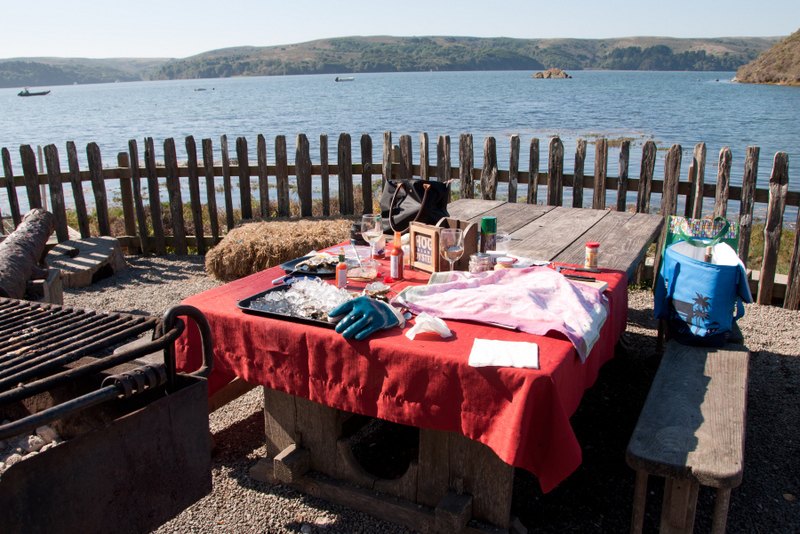 You either buy shucked oysters and sit at a picnic table to eat them, or you buy unshucked oysters and sit at a picnic table to eat them. It got very easy very quickly! But we were there for the experience. 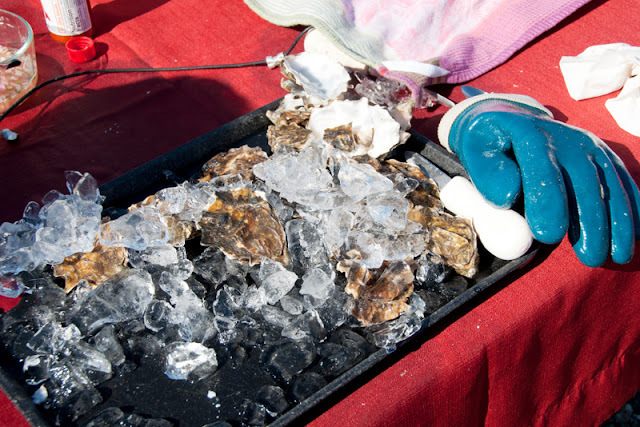 We got a quick lesson in shucking, then opened a tab at the oyster bar and dug into some small Sweetwater oysters! Shucking was not difficult after the first 2-3 and the oysters were delicious. Smooth, plump and creamy... I made a shallot jalapeño mignonette which went over VERY well with the birthday boy. We managed to break into 36 oysters - I think we beat some personal records, but once you start you just don't want to stop! Get in my tummy please!! 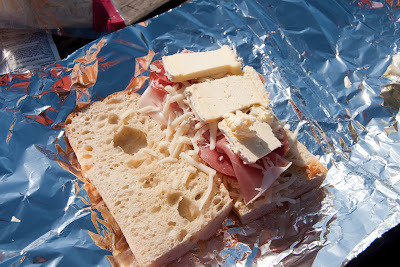 Brought other picnicky items and ended up making them into a fantastic grilled cheese sammie! Forgot to get an "after" shot: Gruyère & St. Andre cheeses, tomatoes and prosciutto! On this particular October Friday, the weather was PER-FECT. In typical California coastal weather fashion, Fall is beautiful and clear. The sun was warm while the air was cool. Music flitted past the tables. 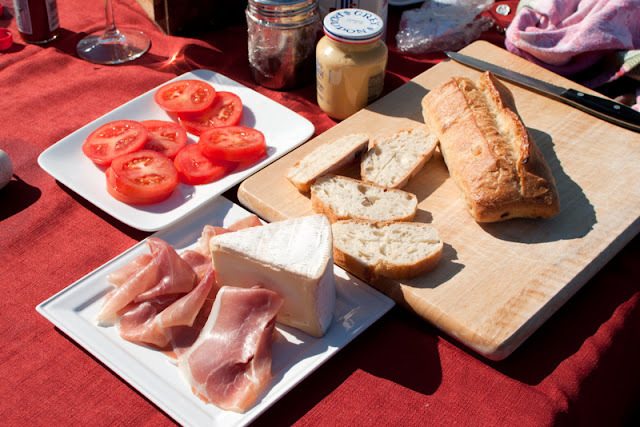 As we shucked and ate and BBQed, you can't help but befriend your neighboring picnickers. We didn't want to start our own BBQ but were able to toast a grilled cheese sammie on our friendly neighbors' after chatting for a while. It was all very pleasant and nice. 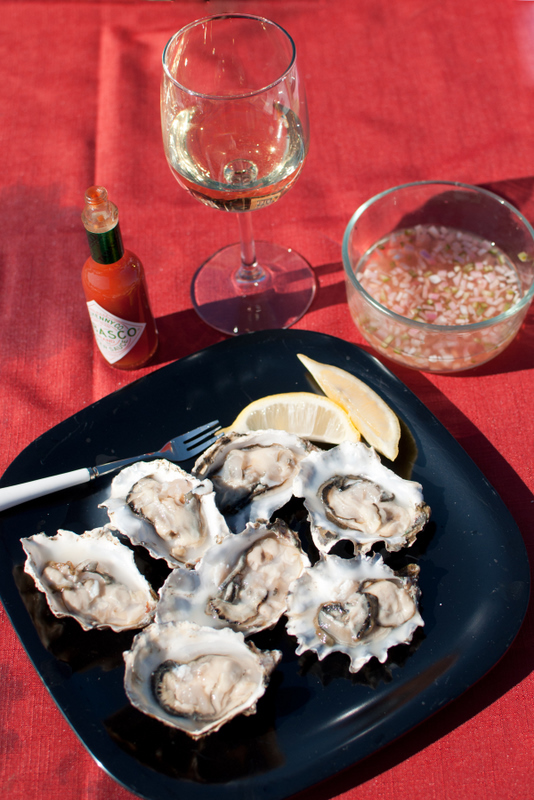 Combine all together and serve with oysters. Will keep for a long time in the fridge (up to a month). If you don't have the mirin, it's fine to opt out.